May We Have a Drink of Water Please? While it’s not extreme, things are a bit warm and dry around here. Thank goodness we have the option of going uphill to find cooler air and water temps but we could really use a good rainy spell. The higher you go, the smaller the fish and, after all, you can only go so high (and so small!) While we wait for rain, we have to find enjoyment hiking in, appreciating the beautiful surroundings as well as in the fishing. Here’s a picture of one of our lovely mountain streams last Friday. Come on rain! 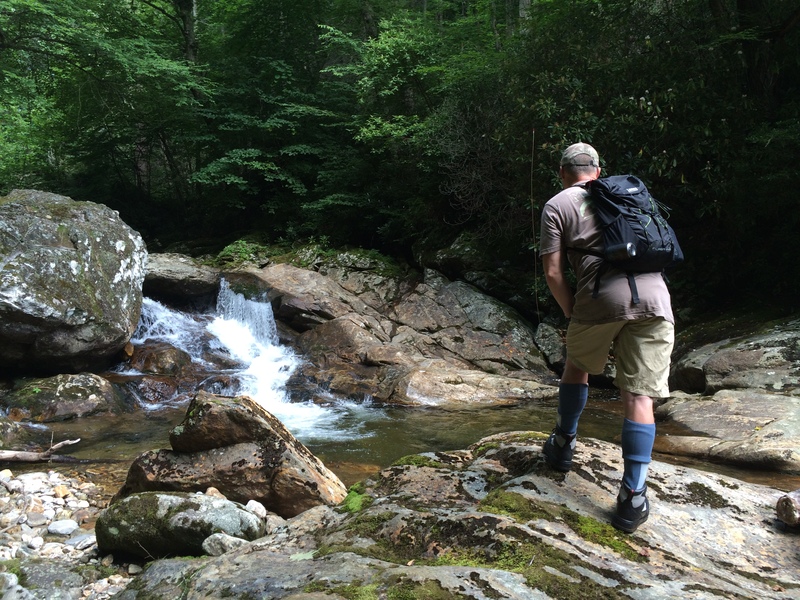 This entry was posted in Uncategorized and tagged Asheville Tenkara news, fly fishing, guides, tenkara fishing, tenkara guides. Bookmark the permalink.